Q1. Can I print W2 Forms on white paper for employees? 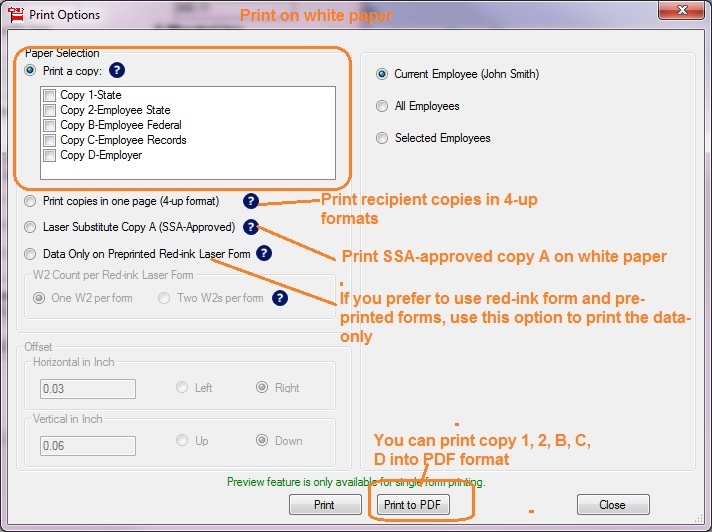 Yes, you can print your W2 forms (copy A, B, C, D, 1 & 2) on white paper with ezW2 software. Q2. Can SSA accept the W2 and W3 forms printed on white paper? Yes. ezW2 has been approved by SSA to print W2 and W3 on white paper since Year 2007. Q3. Can ezW2 fill data on preprinted forms? Q4. Can I print 1099-misc forms for contractors and vendors on white paper? Yes, ezW2 can print 1099 form recipient copies on white paper. However, if you prefer pre-printed form, ezW2 can print data only too. Q5. Can I print 1099 copy A and 1096 on white paper for IRS? No. IRS does not certify black and white substitute forms right now. You should use the red forms. 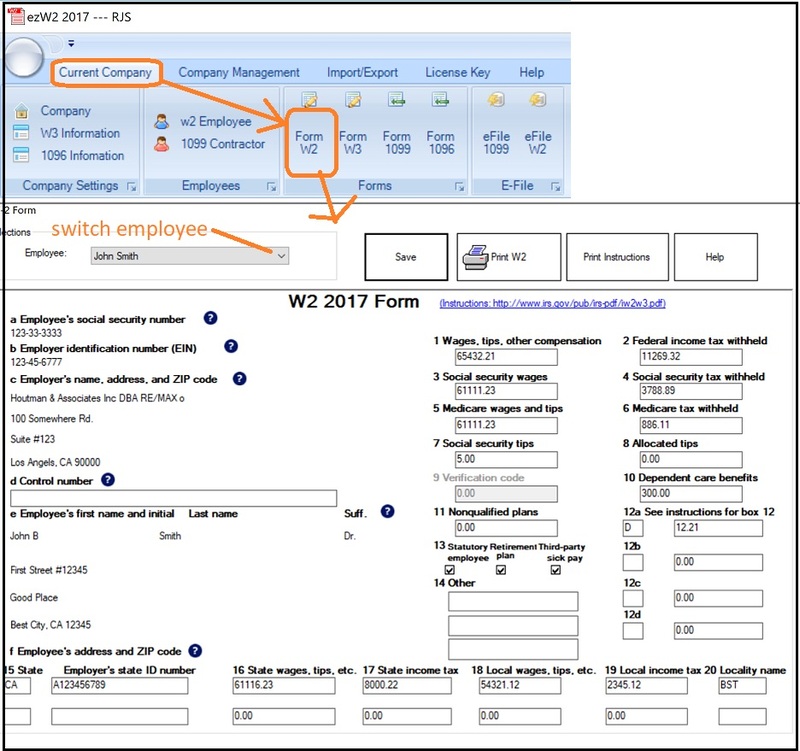 ezW2 can print data on red forms. Q6. Can ezW2 support multiple accounts? Yes, ezW2 software can support unlimited accounts with no extra charge. Q7. We need to install ezW2 on multiple machines. Can multiple users share the same database files over network? Yes. ezW2 multiple-user version can support this feature. Yes, ezW2 can read 1099 and W2 data from .csv file. Q9. Can ezW2 print 1099 DIV form? No. But ez1099 software can print 1099-div form. Q10. 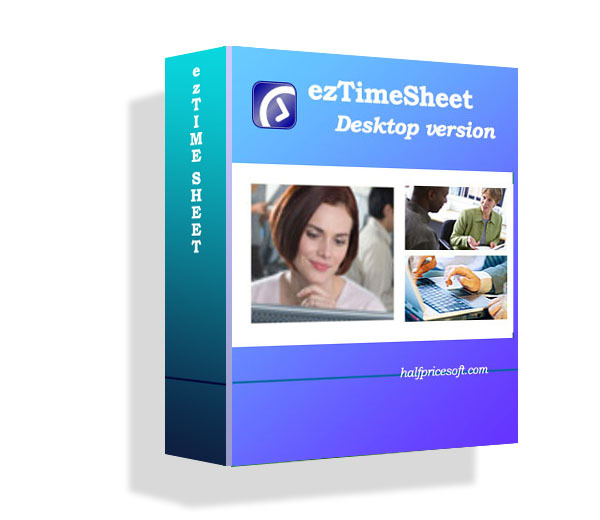 Can I print form instantly after I purchase ezW2 software? Yes, you can download ezW2 software and get key code instantly to print forms. Q11. Does ezW2 software support eFile feature? Yes, ezW2 can generate the W2 and 1099 efile documents that you can upload to IRS site and SSA site. Q12. Do I still need red forms if I file 1099 forms electronically? Q13. Can ezW2 print corrected forms W2C and W3C? No. You should use ezW2Correction software. Q14. I am using ezPaycheck software. If I need efile feature, can I use ezW2 software? Yes. EzW2 can support efile feature. EzW2 can read data from ezPaycheck easily. Click here to see how ezW2 works with ezPaycheck software. Q15. Where can I purchase the red forms? You can purchase the red forms from your local stores such as Staples, office Depot and OfficeMax. You can purchase the red forms from our site. In response to customers’ requests, we released ezW2Correction, the W-2c and W-3c tax form printing software. Prepare and print Forms W-2c (Corrected Wage and Tax Statement) and W-3c (Transmittal of Corrected Wage and Tax Statement) easily and quickly. Priced at $39, ezW2Correction is affordable for any business.